A nice day for this first show of the season, the rain managed to stay off. I was on my local car club stand, the SCCCC, and we managed to come runner-up in the "Best Club Stand" category, which was nice. A good turnout of nine cars would have been ten but for one of our memebers having problems on the way in. The usual good turnout was augmented by a cricket match on the field alongside the show. A busy stand with the Viva Owners Club saw us up in the trees, with the weather in the week before the show leading us to believe we'd be sheltering from the sun. Reality was that it held off the rain for most of Saturday, chucked it down almost all day on Sunday, with the field turning to a swamp in some areas leading to a change of position for Monday, which turned out to be a nice dry day. Terribly bad luck with the weather again meant the club stands being all but abandoned over the weekend. Heavy rain in the few days before the event meant that the initial layout was changed, and more rain on the Friday night caused the whole area to be off limits, with club cars being merged into the general car parks (which were also moved due to the originals being waterlogged). A nice day on Sunday showed us what the show was all about, and full marks to the organisers for having the courage to go ahead with the event and for making as good a job as they did. Yet another casualty of this "summer" weather, the show was moved at the last minute from the usual venue of Barony Playing Fields up to the car park at the Nantwich FC Football Ground. Here at least was a nice hard-standing, and once again although the weather had caused disruption, it managed to remain generally dry for the show. 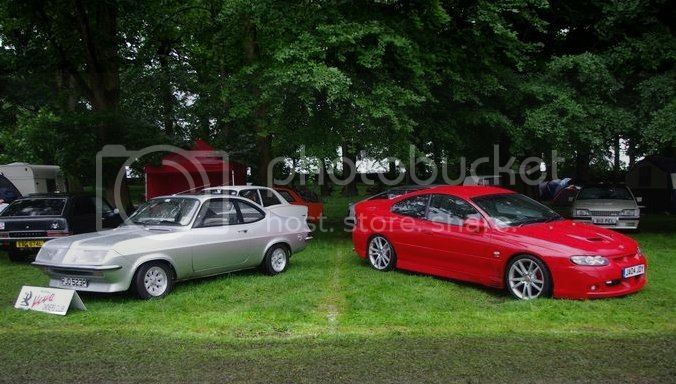 Some extra display cars arrived due to the cancellation of nearby Kelsall Vintage Gathering. 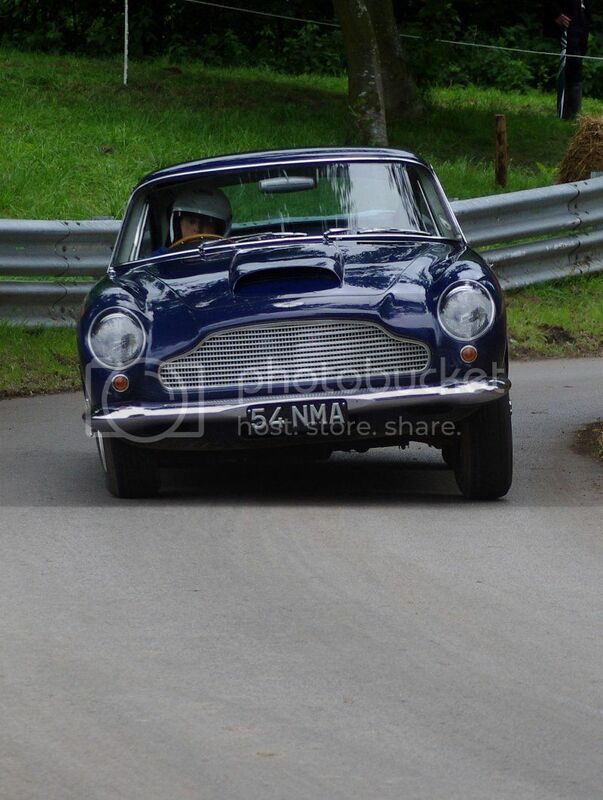 A return to this popular venue by Stuart Holmes, organiser of the popular Tatton Park shows, brought a good turnout from both classic car owners and autojumblers, with the added bonus of racing on the circuit during the Saturday show. The weather stayed pretty good all the way through despite recent disruptions at other locations. Here's hoping this becomes another annual occasion. There was some concern in the run-up to the show as to whether it would be cancelled due to ground conditions, as a show here had suffered recently, but all went smoothly and in fact the weather on the day was very good. The show coincided with the air show at nearby Rhyl, so the town was quite busy along the promenade. A little smaller turnout for the car show this year, but enjoyable nevertheless. My first visit to Shugborough for many years saw a good turnout from the South Cheshire Collectors Car Club, along with a wide range of cars from many other clubs. The gardens here are much larger than I remembered from last time, weather again managed to stay almost dry with a few light showers. Our second visit of the year to Tatton Park brought a good turnout from local and more distant club members alike, and even managed to stay quite dry for the weekend. This is our second visit to the Gold Cup even as club exhibitors, however the newly-introduced age limit on vehicles (display vehicles must be older than 1980 now) reduced our numbers quite significantly. An enjoyable weekend overall, though, managing to stay dry for all but a couple of hours on the Monday, the rain only adding to the interest in the racing. Our second car show of the year at this venue, the layout was changed a little due to the main field being taken over to make preparations for the "Carfest" show taking place the next weekend. Our club managed to win the runner-up prize for club stand again, losing out to the Dolomite club who fielded an impressive 50-odd cars, a level of turn-out we used to regularly have back in the eighties. Postponed from the original date in July, this small show set in the back field of the local pub in Shavington managed a great turnout despite the new date not suiting all. A couple of miniature steam engines were in attendance along with a selection of classic cars, vans and motorcycles. A new show organised by Andrew Greenwood, Arley Hall is just a little north of Tatton Park and has extensive ornamental gardens to browse. A bout of forgetfulness on the part of the catering people led to the Arley Hall tea room and restaurant doing brisk trade. 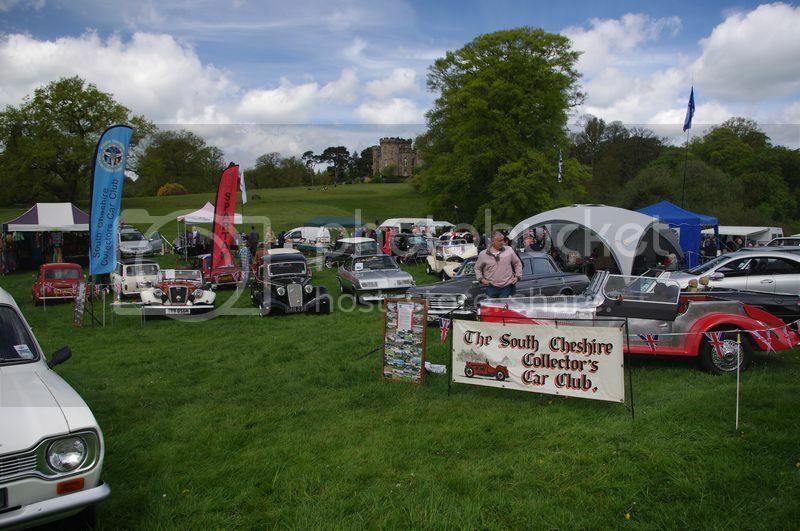 Apparently the Arley Hall people visited the Cholmondeley show a few weeks before to get a feel for what they could expect, thinking they would see perhaps 150-odd cars and owners, and were amazed at the turnout. I hope this doesn't lead to one of the more established venues being dropped for 2013, though, as rumour suggests. This was a one-off morning gathering organised by the same people who run the Pageant of Power. It was intended to be a way of apologising for the disruption that the club stands suffered during the summer event, though that was down to the weather and beyond the control of the organisers, so it was especially nice that they went to the trouble. 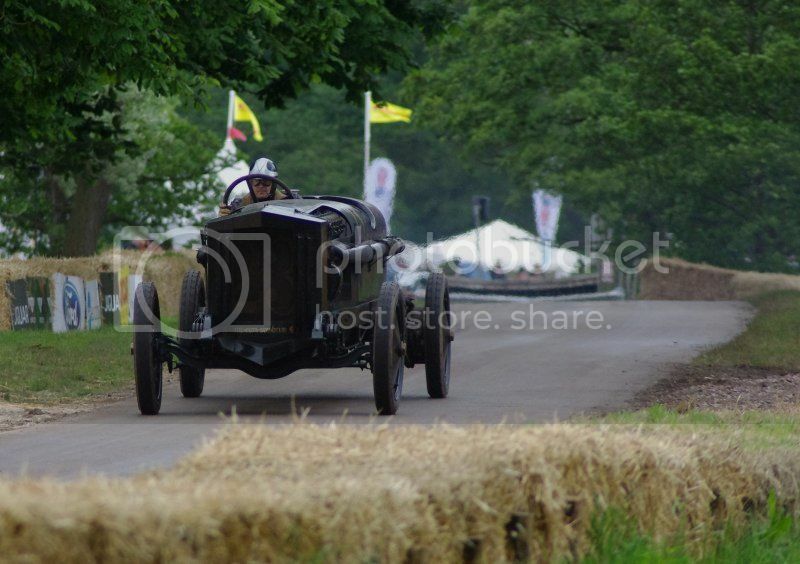 After a complimentary cup of tea and a cake, all exhibitors were offered a parade lap around the CPOP track, and that was an experience that most were happy to accept. A lovely clear sky overnight meant it was frosty first thing in the morning, but it soon brightened up and turned into a nice day, a good way to round off the season. This site is © 2018. All images used are my own, or in the public domain, with the exception of those provided by Vauxhall Heritage which are marked and © GM Company. If you believe that your copyright has been violated contact me and I will take appropriate steps. The use of the Vauxhall "Griffin" logo on the site does not imply any connection with Vauxhall Motors Limited.